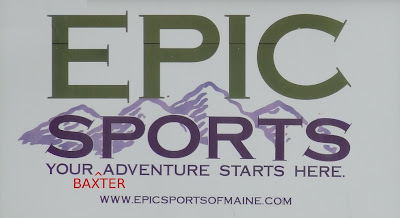 If you want to plan your next Baxter Adventure with some Baxter Beer in one hand and the newest edition of the Maine Mountain Guide in the other, Epic Sports has brewed up the perfect evening for you. On Tuesday, May 1st from 5:30pm-7:30pm, Epic Sports is hosting Maine-based mirco brewery, Baxter Brewing Company, as well as the editor of the brand new Maine Mountain Guide. Baxter Brewing Co, located in Lewiston/Auburn will be giving out free samples of their beer to those of age, and editor Carey Kish will be on hand to sign newly purchased copies of the 10th edition of the Appalachian Mountain Club guide. Epic Sports - Your Baxter/Beer Adventure Starts Here.